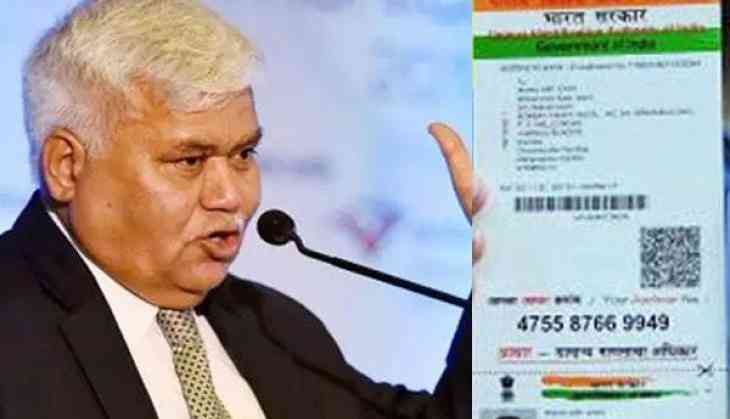 As soon as TRAI chief, RS Sharma shared his 12-digit UIDAI Aadhaar card number on Twitter challenging hacker to leak his personal data linked to it, the hacker came up with shocking details of Mr Sharma's from home address to PAN number to WhatsApp profile pic. Well, the hackers haven't ended here, now the hackers on Sunday accessed bank account details of TRAI chief R S Sharma. According to these ethical hackers they have deposited Rupee 1 in Sharma's bank account to highlight the potential of Aadhaar number being misused. As per the hackers - including Elliot Alderson, Pushpendra Singh, Kanishk Sajnani, Anivar Arvind, and Karan Saini, claims that they have details of Sharma's account number and IFSC code in five different banks - PNB, Bank of India, SBI (joint account), Kotak Mahindra and ICICI Bank. Some of the hackers have deposited Re 1 to his Bank of India account via AEPS. They also revealed that Sharma had used his Aadhaar card for sale of organic goods on July 2. Alderson further claimed he has obtained a Gmail account password of Sharma and advised him to change it. Unfazed TRAI chief responded: “No. Why should I change? It is working fine! Even if you hack, it is not because of Aadhaar!” Hackers claimed 14 details such as mobile numbers, residential address, date of birth, PAN number, voter ID number, telecom operator, phone model had been revealed so far. The Telecom Regulatory Authority of India (Trai) chairman on Saturday had tweeted: “Now I give this challenge to you: Show me one concrete example where you can do any harm to me!”. On Sunday after publishing TRAI chief's details, the hacker Anderson asked PM Modi to share his Aadhaar number on Twitter.